Green Fantasy | Zonyxa. Unique and contemporary jewellery for Work. Love. Play. 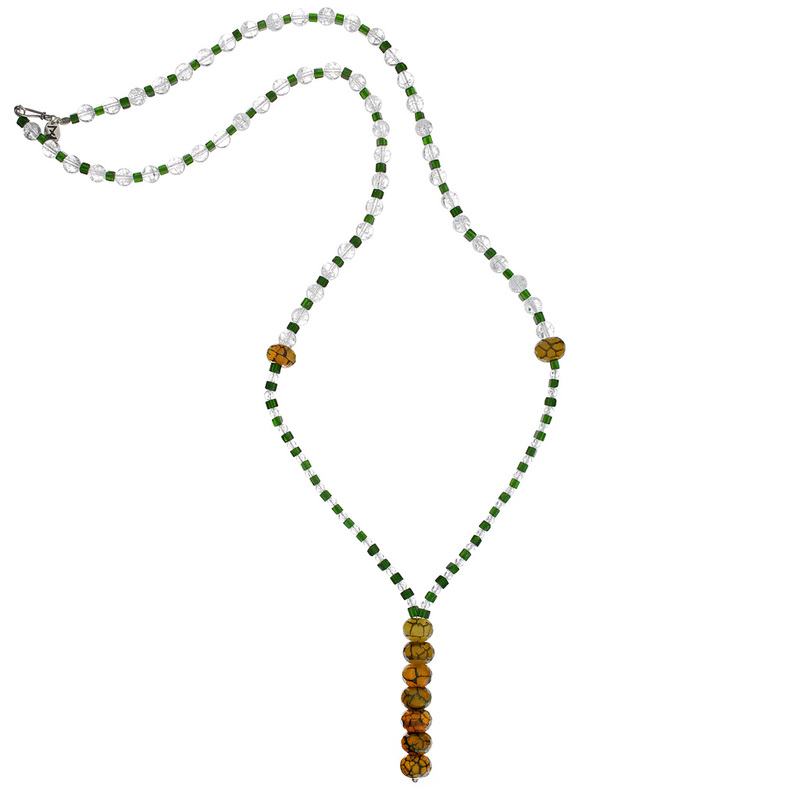 This contemporary yet elegant necklace features beadwork of frosty ice quartz and tiny faceted crystal balls combined with deep green cubes of smaragd, and showcases warm green-brownish marbled roundels of green agate as a striking pendant. Wear with a plain top or dress.